Kern Medical in Bakersfield, Calif., has notified Lara Kollab, DO, that her position in the hospital's Internal Medicine Residency Program has been withdrawn for submitting false information during the match process. Dr. Kollab was previously fired from Cleveland Clinic for sharing anti-Semitic comments on social media. Dr. Kollab had been working as a resident physician at Cleveland Clinic for roughly three months when several of her tweets from years prior, some of which called for violence against Jews, were made public. Cleveland Clinic fired Dr. Kollab in September. 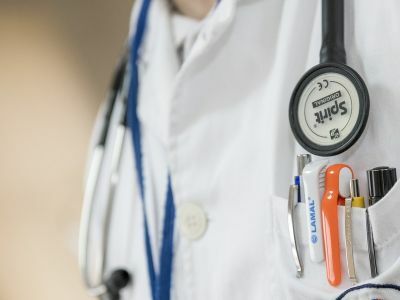 Dr. Kollab, who issued a formal apology for the anti-Semitic comments, was offered a spot in Kern Medical's residency program after going through the match process. However, the hospital withdrew the offer in March. "Kern Medical has determined that Dr. Lara Kollab breached her Match Participant Agreement when she submitted information that was false, misleading, and incomplete to Kern Medical during the interview and match process," states a news release on the hospital's website. "Kern Medical is dedicated to the health and wellbeing of our patients and expects the highest level of integrity and compassion from our staff. We look forward to welcoming our new class of residents and working with them to bring an exceptional level of care to all of our patients, regardless of race, religious background or social standing."